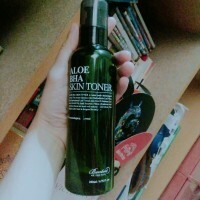 I have been trying many different toners and this is the only one to which I have returned. It is pretty mild despite having BHA (acid) in it so even for drier and sensitive skin type it is ok. 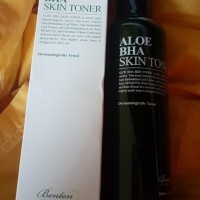 I have noticed my skin feels less tight and have less visible dry patches when using this but nevertheless it is still not worth all 5 stars in my opinion. Yet, it is a great vegan friendly and cruelty free product that could become a staple in your routine. It remains one of the best toners I have tried so far but I wish to try other toners before I return to this for the third time. This is one of the first toners I've tired. The consistency is thick with a sweet odor unique to BHA which I personally did not like at first but I tolerated eventually. It leaves my skin moisturized and even if it has a lower concentration of BHA it really helped me managing my breakouts. I used to layer it for extra hydration :) This product is a #yay specially for those struggling with acne that have combination skin!